The economic crisis hits everyone worldwide, even those involved in organized crime. With the chaos, kidnapping and human trafficking rise, as well as the threat on national security. Additionally, there is a need for humanitarian aid in areas hit by disasters. Jason Hartman interviews HALO Corporation President and Founder, Brad Barker, about how his company assists people in need during crisis events. Brad explains many of the global threats and defines risk assessment. As he states, “There are situations where you can’t control the uncontrollable and you just need to be able to cope.” In addition to providing safety, security, and improving force protection, HALO offers training, called Stress Inoculation, for such situations. He discusses clean water, protection, communication and other needs in serious situations. For more details, listen at: www.HolisticSurvival.com. HALO Corporation was also founded by former Special Operations, National Security, and Intelligence personnel. Brad Barker leads a team of global experts in the fields of crisis management, humanitarian aid, national security, executive protection, technology and curriculum development for Homeland Security and other agencies. Mr. Barker began his service to the United States Government as a member of a Humanitarian Assistance/Disaster Relief (HADR) team deployed to Hurricane Katrina. Now the HALO Corporation has three divisions – Operations division, Science and Technology, and Training and Education. Through these divisions, they support the US Department of Homeland Security, the Department of Justice, and the Department of Defense, as well as several corporate and private sector clients. The HALO Corporation has an emphasis on counter terrorism, risk management and threat mitigation. Brad Barker has hosted “Kidnap & Rescue” on the Discovery Channel and was the executive producer and host of “Between the Lines – A History of Cocaine.” He has been a speaker at many summits and a contributing author of National Security Threats in Cyber Space, From Gun Violence to Civic Health – Case Study on Gun Violence in Chicago, and Contemporary Piracy: Consequences and Cure. Jason Hartman: It’s my pleasure to welcome Brad Barker to the show. He is the president of Halo and Halo is a company that does all sorts of fascinating things; they do consulting, they do disaster response, and just have a wife and a very interesting stuff. I’m sure this is going to be very educational for you. And Brad is coming to us today from San Diego California, and Brad welcome. How are you today? Brad Barker: Thanks so much for having me on your podcast. Jason Hartman: Well, the pleasure is all mine and I heard you talking on coast-to-coast and I thought this is just fascinating because whether I want kidnapping ransom consulting, emergency preparedness and response, or an armored vehicle, you are the company that can help me. Brad Barker: We’re kind of a one-stop shop. We apply sort of the Forrest Gump’s technique to some of these things. But there’s a lot of gaps out there when you’re looking at and response to any type of hazards with certainty that things and there’s been a single plaything get all of it, so we just do our small little part. Jason Hartman: Absolutely. So brad, how old is Halo Corporation? When what is founded? Brad Barker: We started right after Hurricane Katrina. So officially as a company was started in 2006. But a lot of the folks that helped found the company have been doing this type of work for most of their careers and the federal government with an emphasis in former special operations folks, and tactical combat casualty care medics, and members of the intelligence community. And we formed Halo, as part of the public-private partnership, which is post-9/11 legislation and it really enables and fosters a lot of the collaboration between private companies like ourselves and responsibilities that a lot of folks reserve just for the government. Jason Hartman: And what did you do before this? Katrina was only 2005, or maybe the end of 2004 at can remember, but it was not that long ago. How do you get into this world? Were you a military guy, or what was your background? Brad Barker: Well it’s funny, I’m the only person at Halo and doesn’t have not only a military background, but a special operations background, so this is a testament to the fact that all concerned citizens, and my guess is that the overwhelming majority of your listenership do not have a special operations or intelligence background and neither did I. So this is a testament to the fact that concerned citizens can actually make it difference with a fair amount of motivation and passion, and listen a little bit here and there to the folks that experts in this space and go to where the gaps are and deliver what’s needed. Brad Barker: She’s very lucky. Jason Hartman: Well there you go. And I was going to take a trip up to Columbia for the wedding and something happened with American Airlines and I was able to go, a huge hassle, but I’ll spare you the details. I was thinking about how kidnappings in Colombia are down by 72%, which did not make me feel particularly comfortable to be honest with you, but I still want to get to Columbia. When you talk about kidnap and ransom, we’ve all seen movies about it, TV shows about it, what are some of the things people should know? That’s a pretty interesting and scary topic. Brad Barker: Well, we are sort of eating the Oreo from the inside out, which is not uncommon. We didn’t start as the kidnapping company. We really didn’t. After the work that we did at Katrina, we have met a lot of folks in the technology space with unmanned systems and being able to bring critical infrastructure and communication and our operability to the folks that are the first responders. And because so many experts from so many different states deployed to Hurricane Katrina, we were able to meet a bunch of these folks professionally and then eventually socially, and of course in areas like that you bond in crisis. And we all became friends. So we started doing some work along the Southwest border, and then eventually some companies hired us to do some consulting for them south of the border, and then the kidnapping started to really increase. And because we have the folks at Halo with the specific background that can lend a hand in some of these types of organized crime, we were able to consultant on vulnerability and threat, how to reduce your threat profile. And it just kind of took off from there. We’ve been consulting to State Department and a bunch of the three letter agencies along the DC Beltway, and helping with all of the Department of Homeland Security folks and doing what we can as a private company is operating in Mexico, and sharing that information to both the Mexican government and our own. Jason Hartman: And so that kidnapping in terms of the Mexican government issue, that was probably drug cartel type kidnapping right? Brad Barker: Well, it started with organized crime, but then because… You know with the global economy happening the way it is, this economic recession hits the back guys too equally. So as an organized crime syndicate, which is a transnational logistics and supply chain entity, and they do do very savvy business, they have to diversify their revenue streams. So kidnapping was one of them, you can kidnap somebody for ransom, and get a bunch of money and give them back, or otherwise. And they can subsidize some of their other endeavors. Being able to scare people is a way for them to maintain power, and having a bunch of money in the way for them to maintain power and influence. So the issue that was an unintended consequence from that I believe, is that some of the unorganized crime groups out there, these are like gains than just criminal that are not part of say, a card-carrying official cartel, they started to feel the cash crunch and they need access to quick cash too. So they look at their big brothers, their mentors, and say well look, this is how the cartels are doing it and we could do it too, because look at all these people with money all around us; we could roll them up, it can ransom, and then it just started to skyrocket. Around 2006 to 2007 you really started to see a spike of kidnapping, not only cartel on cartel, Mexican victims, but also people from other countries that were traveling through the high risk transit zones and a lot of the US corporate officers that would go to the [0:08:43.1] districts and some of the manufacturing and distribution plants and Mexico, and they were at risk and rightly so because there had been so many kidnappings in that region at that time. Jason Hartman: Boy, that is one scary thing to you have happen, the threat, just who knows where that could go. Okay so, the kidnapping, the disaster response, what about just personal security detail and executive protection? Are a lot of people, is having a bodyguard becoming a really popular thing nowadays? I would sort of think so given that you’ve got this Lake disappearing middle class, and this disparity between the haves and the have-nots, the biggest event in America decades probably, there’s a lot of envy out there, a lot of class warfare being exploited by the current administration. And a lot of fame, just generally nowadays we have the media culture and social media culture just online, high profile people maybe more than ever. How does that all work with personal security detail? It started with us working for high net worth individuals and people who reached some level of stature within their company where they would be a high-value target. So now because not tremendously expensive to do this type of thing, a person who is going through a high risk transit zone or an area that is known to be unstable, we believe that it is necessary for you to travel with somebody who has some of that intelligence. It’s mostly risk management and crisis avoidance that we do. We do a lot of the research for the individual or the family or the corporate executive that is going to go to one of these places and we find out exactly what’s been going on recently, we liaise with the local law enforcement, we have solid contact of people that we trust, because not all of the folks in the law enforcement community in some of these depressed areas, they’ve been compromised financially and their revenues and their incomes are a bit subsidized by people that just offer them tremendous amounts of money and have given them no real choice but to play ball. So this is an additional layer of risk, and some of those tides are turning and a lot of the areas that we operate, which is a good thing, but having all of the information in getting the right information to the right person at the right time in the right format can dramatically reduce the likelihood of some type of crisis event occurring. Now, it’s not just the kidnapping, it could be a host of very dense and risks that could occur, and the response to those threats and risks are not unique, separate and different, where if it is a kidnapping, you’re going to do these things, if it is a mass casualty event, you’re going to do these things, we like to make it very, very simple so that the responses are pretty similar from the United States’ standpoint, and the host nation help that we get when we enter a lot of these high risk transit zones. Jason Hartman: Well speaking of which, here’s a honeymoon location that popular: South Africa. South Africa is dangerous, big time. Brad Barker: It is dangerous and we do have a very similar approach if you say in the resource in any of these places that you secure your travel to and from the airport with a known reputable transportation logistics company, you can have a great time. I know many people who have done safaris in Africa, they’ve done photo shoots and a lot of crazy places, and they come back from just the best time. Now, if you look at the law of large numbers, the likelihood of something happening here is a very, very low. But if something does happen, you need to know how to prevent that from occurring. And if something is going to happen and there’s nothing you can do that you have to know how to mitigate your risk and reduce your risk while this crisis is going on. You were just asking earlier, what is a high risk transit zone? It’s not necessarily a war zone, or a place that is all over the media. You can do your research, and some due diligence. There is a free resource I would refer your listeners to, and that’s called OSAC. It stands for the overseas security advisory Council. Now this is part of that public-private partnership that I talked about earlier, where private organizations like ours the US government, academia and research think tanks; funded by the State Department and the CIA and www.OSHC.gov. And this is a great resource where you can look at a country that you want to travel to you and just see with the heck’s going on, get some real life situation awareness, and from intelligence about where you’re going and decide do I go or don’t I? And listen to this travel. Jason Hartman: Yeah, a lot of people have asked me, a lot of the listeners have asked, I’m prepared at home, I’ve got… I store food, I store water, I’ve got defense mechanisms in place, I’ve got medicine, a first aid kit, all the sort of prudent stuff that becoming a prepper nowadays has become fairly popular. There are obviously shows about this. Not just my show but the Nat Geo show, and their conventions and Expos in things. And so this is something a lot of people are doing nowadays. It’s pretty popular. And I think, frankly, it’s just responsible. It doesn’t cost much money to do it. It’s just pretty easy. But the problem is when you travel, the whole idea of traveling to travel light, so easy. And a lot of this stuff, you can’t travel with it anyway on an airplane… It’s just not practical even if you check your bags. What do you do if you are caught in some foreign city, and it’s maybe not a kidnapping threat, or even domestic civil unrest, it’s just a natural disaster and you don’t have any stuff, you don’t have any prep supplies. Brad Barker: So there are situations where you can’t control the uncontrollable. And you just need to be able to cope. Now we attempt to instill some confidence and some knowledge about these situations through training. So a term we use professionally is stress inoculation. Okay so, a lot of people, if you look at Katrina for Haiti or Banda Aceh Bukit during the tsunami, or the mudslides and Peru, or Fukushima or gosh, the meteor in Russia, you can’t prepare for that. Halo does not teach that class. Meteor preparedness this is not something you’d find on our list. But I’m making light of a serious situation. What we’re talking about here is whether it’s a chemical, biological, or radioactive, or nuclear, or explosive, or accidental, or meteorological crisis. What you’ve got is three things: you’ve got mass casualty, the government’s not coming to help you, that’s either our government or the local government where you might be, and the only thing you’re really concerned about once you realize that you are still breathing is where my loved ones and how do I get to them? So forget all the other nuances, and all the other details of what kind of threat it is, and where am I, and how do I get home, you really are just focused on where the people that I care about and how do I get to them and make sure that they are okay? In human nature, forget all of the backgrounds of the elite law enforcement and special operations. We are talking about civilians. We’re talking about people who are trying to have a good time, they are on vacation, they are trekking through wherever, and things have gone wildly wrong. So communication is going to be top of mind. How do you let people know where you are and that you are okay? How are you going to sustain yourself? Water is going to be one of the most important commodities and it will instantly go top of mind, and here in America we take our sustainability for granted. We have fresh tap water or filtered water pretty much everywhere. If that goes away, people start to get really weird really fast. We had a quick little snapshot of that on September 8th of last year, just a couple of days before 9/11, so everybody was just a little uneasy anyway, and we lost power through all of San Diego County for, in some areas, almost 2 days. Now, and that another time your power for your refrigerator has gone out, so now everything in your fridge is spoiling, and starting to go toxic with different types of bacteria among which is some of the stuff that can make you very sick. And out of your tap, are some microbes, Cryptosporidium, and giardia, which can make you really not want to go too far from your toilet. And it’s going to cause you to get dehydrated. Now if you get dehydrated just as an individual, you’re not only going to be very, very sick, but you are not going to be able to problem solve well. And eventually you are going to get mentally disconnected and you are going to spiral and you can have early onset dementia, and then it’s going to be very difficult for you to be cared for, let alone care for somebody else. Jason Hartman: What you do about that? Brad Barker: Well, you have to have situational awareness before you even go into these types of situations. Never get into a situation where you do not know the way out. So being able to travel for very inexpensively, and very lightweight, you can get some of these filtration systems. There’s a company that we know very well called Hydration Solutions. They sell these water filters, and I’m not talking about something that is very expensive or is very heavy; it looks like a big straw. And this has a charcoal filter and it, and it’s going to filter out 99% of the disease causing bacteria out of some of the nastiest water that you can come across anywhere in the world. And we were able to see some of these water filtration systems in Haiti, where you are immersing the nozzle into almost sewage and you are able to process it and have clean, odorless, tasteless water on the other side. Jason Hartman: Okay. So the first thing is water. That’s the first thing after oxygen. So, got it. You can have a tiny water filter, you can have this tiny tablets that you put into water. I don’t know which one works best really, but these are very small, very portable things. And you can easily put that in your briefcase or your suitcase, and then just roll aboard the plane. What else? Give me two more things quickly. Brad Barker: Sure. So you have to be able to protect yourself, even before… So water is first. The second thing is you have to have some way to protect yourself because as people start to spiral emotionally, it becomes chaos. And people are going to come try to take your stuff, whatever that stuff is you have, define it however you like but there’s always someone bigger than you. So you have to be able to lock down and be able to defend yourself so that you can keep your wits, understand what is happening, and make a plan to get out. Jason Hartman: You know what this reminds me of too? The other kind of plausible situation that can happen while traveling is that hotel in India a few years ago that was under attack, I don’t remember the name of it. I Actually stayed in that same brand-name hotel and a different Indian city when I was there a few years ago. Brad Barker: So that would be the Intercontinental Hotel in Mumbai. Jason Hartman: No, it wasn’t Intercontinental. It was something else that I stayed at, but maybe that’s where the rebels took over that hotel and it was a nightmare obviously. So this is something where you might just hunker down and not want to be found. Brad Barker: Wait it out. Let the chaotic crazy people go and be chaotic and crazy. And let them take care of themselves. Jason Hartman: Crawl into a space in the attic if you can or hide under the bed or whatever you can do. Brad Barker: You want to be able to barricade and locked down with your water supply. Because you can go quite a distance without food chronologically, but you cannot without water. You’re going to lose your own wit and your ability to cope if you are by yourself, and if your with others you will lose your ability to care for those you care about. Jason Hartman: Right, so what the protection idea though? 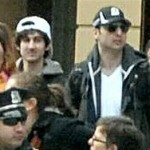 Brad Barker: Well the protection idea, unfortunately cannot travel internationally with any kind of discernible weapon. It’s illegal. And those laws change from city to city, and from country to country. You’ve got to get something. You’ve got to make something. Whether it be a bed post, a stick, something you can sharpen. A knife is not something that is hard to come across when you’re on travel. It’s a kitchen implement. You have to be able to defend yourself with some type of weapon, and not go after people. This is completely a defensive posture while you are barricaded locked down as you’re waiting for the smoke to clear. And I don’t mean that euphemistically in any case, as you do need to let that smoke clear. Now of course there is always an exception. If you are in a coastal city, in the case of a seismic event or where a tsunami that is likely locking down and barricading is probably not your best idea. When we train folks on a lot of these things, we always go to the worst case scenario. Now you might remember about three years ago there was a seismic event and Indonesia, and it caused a tsunami. So basic training teaches you when there is a tsunami you go to the high ground. Well, Indonesia is not a big country; it also on the Ring of fire and as luck would have it, several of their active volcanoes just started to spew a toxic gas, ash and lava in some cases. So the Islanders and Indonesia know that when the volcanoes begin to get active and it’s a crisis event like that, you get outside and you go to wide-open spaces. Many of those spaces that are close to you are the beach. So on one side, you’re told to run to the hills; on the other side you’re told to run to the beach. So you’ve got this sort of calamity going on, this perfect storm of bad things and this is what we call a significant crisis event, where you have to use your situational awareness, use your decision-making skills and be able to maintain focus on the outcome, which is your safety and survival. And this type of thing can only be a skill that you develop if you go through some type of drill or training officially or unofficially, so you can inoculate yourself to stress because if you start to collapse, if you start to spiral, you are going to start rocking back and forth and calling your mom and she’s not coming. Jason Hartman: What type of training? Do you have a particular recommendation there? Brad Barker: Every child in school understands what a fire drill is. When we graduate from school, we don’t drill anything anymore as adults; we just don’t. We’re responsible parents may feel easily that you are educators to driller can’t on the fire drill, but what do we do as adults? What do we do for our families, our friends, coworkers? Now, you’re an entrepreneur, you work for yourself, but I would challenge your listeners when was the last time that your boss or the owner your company had a fire drill for the Corporation? I would say it was forever ago, if ever. So these are things that you have to kind of take responsibility for yourself and think about the situation that you’re in. How do I get out of my office? And it’s not just look for the exit sign. Because everybody else is going to be doing that, so you want to not go with the herd, you want to have a plan for yourself and get a buddy. And I know this sounds completely basic like I’m telling you to look both ways before you cross the street and don’t talk to strangers, but it comes down to the very simple golden rules: get a buddy. How many you know and trust, that if something goes down these are the things we are going to do based on our situation. Now this is a weird conversation to have with the person in the cubicle next to you, “Hey Joe, in case this place goes high order, I want you to be my buddy in this thing and we’re going to get ourselves out of here ”okay, Joe’s going to stop talking to you. These are really funny things, and in our culture to not really talk about these things. You mentioned preppers earlier, ‘preppers’ is a term that has been put in a box. People are judging the people that really take this kind of thing seriously, but I’ll tell you these folks like yourself that do have portable water in their house and they do have freeze-dried food or MREs and weapons and maybe some ways to fortify, and generators where you cannot really take much of a hick up in your lifestyle while you’re waiting for this crisis to pass. Guess who is going to come knocking at your door? Brad Barker: Well it’s like Noah’s ark. Everybody thought that guy with the loon. And then when the rains came, he became a pretty popular guy. Jason Hartman: exactly. And I just want to mention, and I’ve mentioned it on prior episodes, but the thing that I think most preppers are forgetting is communication. All the things you said of course are true, but get yourself a little ham radio and the family radio system, they say it has like a 36 mile range which is obviously not true, but just have some kind of system like that. And if you want to even take the next step, think about getting faraday cages so that if there is an EMP, electromagnetic pulse, the electronics can be protected somewhat or you could just bury it underground if you have an underground place, put a little underground locker, and I don’t mean something big. You can just put this stuff underground and that’s a pretty good shield too. But you can buy faraday bags which aren’t going to offer much protection, but they sell them on Amazon.com for 20 bucks. And if the EMP, whether it be a solar flare, for a nuclear detonation, God forbid, that something that could knock us into the Stone Age in no time and if it’s not too close to you that $20 bag if it’s any cupboard in the way somewhere, it may do the job. Brad Barker: Let’s harmonize with you from a different angle. So we have to three C’s. And these can be very personal. And those three C’s are communication, coordination, and collaboration. So while the sun is out and the birds are chirping you have to communicate with your peer group and say okay, if the storm does hit the fan this is what we are going to do. And then actually drill it. And not in a weird way, but have everybody agree hey, this is what we are going to do, let’s just do it, it will be fun. Maybe we can go out for happy hour afterwards but just indulge me here. We are going to communicate about this, devised a plan, coordinate and actually do it, and then we are going to collaborate. And we are going to learn from the drill, and we’ll talk about it over happy hour and hopefully will it never have to use it. Now, with regard to the communication which is the most important, and I mentioned earlier, you want to be able to make sure that you are okay and the people that you are with our safe and then you want to be able to call your loved ones and let them know where you are and that you are okay please come get you. Now, you talked about an EMP. The likelihood of an EMP might be subject to some interpretation, but I will tell you something that is very likely: and that is a cyber attack. Now we all live in a day and age where mobile communication is our lifeblood. I do believe in myself and some of my other peers, we might use our iPhone actually to draw oxygen from. Jason Hartman: There’s an app for that. Brad Barker: You’re probably right. But we things that are happening from other nations and with the wide open vulnerabilities that exist in the cyber realm that we are completely alien to, our biggest vulnerability is our ignorance to this vulnerability. And if a cyber-attack were to occur, there’s going to be no real discernible difference between a cyber-attack and an EMP. Basically the end result to the end-user or your listeners here on this podcast is nothing is going to work from the communication standpoint. Clearly a cyber is not going to stop your car from starting, but it is going to stop all of your traffic signals from working, your drawbridges, anything that is on the grid that is automated. So that’s water, power, sewer, communications, critical infrastructure, and the list goes on. So let’s say all of that does not work right now, how do you get to the people that you care for and let them know that you are okay and how do you get next to them to make sure that they are safe? So that is something where you are going to have to find some alternatives. Cyber-attacks do not affect RF or radiofrequency. So this is a long way of saying I agree with you, ham radios or shortwave radios or a subnet RF frequency that you and your family and your friend agree that you are going to communicate on when the storm hits the fan. And just as a general rule every New Year’s Eve, replace the batteries in your flashlight in your communications device just because. Because you know what is going to be frustrating? You are the ultimate prepper and you prepare all this stuff and then you find out that your batteries are dead, you are going to feel kind of dumb. Jason Hartman: Or your batteries have corroded inside the device and gummed it up. Brad Barker: You’re right. For those of us who live in coastal communities, that’s very likely. Brad Barker: You are absolutely right Jason. If you are in a true crisis, if you are using a ham radio the least of your worries is whether or not the ham radio police are going to come find you. Jason Hartman: Exactly. Okay good. Well listen, we have got the kind of start wrapping up here that I want to talk about any other areas of concern that you think are applicable to people, and something that they can take steps to prevent. Brad Barker: The truth of the matter is this is such a broad topic that it’s kind of a dirty little secret. So there are a lot of free resources out there for your listeners. First of all, Halo produces a magazine every month where we talk about a lot of this subject matter that is not only for local state and federal law enforcement first responders, etc. but it is also for the general public, so that they can glean a lot of these best practices that first responders will employ for themselves, their families, and their coworkers. So you can sign up for the Harbinger by going to TheHaloCorp.com, and this history. We give that out. Also there is a book out there called The Disaster Diaries which I just read and I found it to be a very good way of emulsifying and a lot of the practices and how you and your family can prepare for a disaster. It’s called The Disaster Diaries, it’s written by an author called Sam Sheridan. You can grab that it Amazon, and there is another podcast that I listen to pretty frequently by a guy that you may know; his name is Jack Speer. Jason Hartman: Oh yeah, I listen to a lot of Jack’s episodes. He’s good. Brad Barker: Yeah Jack is a stud. And what I like about Jack, is that he does not give a rip about what anybody thinks. Jason Hartman: No, he certainly doesn’t. Brad Barker: He just goes there. And he doesn’t care if he ruffles feathers or offends anybody. Political correctness is just not even in his vocabulary. So, just to review: we have the OSAC website, which is our government’s resource. If you are going to travel the world, take the time, do yourself a favor, you have the obligation to do the research of where you are going, and not just from what the travel agent telling you. Sign up for The Harbinger at TheHaloCorp.com and in the lower right corner of our home page you can click you can click on The Harbinger title there, and just go ahead and subscribe. We will give this to you every month and let you know about podcasts like this, and books that people can read to resource themselves so that they can better prepare and protect for what’s next. Jason Hartman: Good stuff. Well, Brad thank you for joining us today and enlightening us on some of the situations. And give out your website again. It’s TheHaloCorp.com, is that correct? Brad Barker: That’s correct. Thehalocorp.com. Sign up for The Harbinger magazine. Jason Hartman: The Harbinger is your newsletter or magazine. Is that an email magazine, or is that a printed? Brad Barker: No, we believe that print media is kind of slowly going away and we pushed this out it out to everybody email and there’s videos in there, and rich media, and podcasts like this that are embedded into the magazine, and there are really good tools and tricks and tips in there that you can just print out if you like them. Jason Hartman: Yeah, the only reason I asked you is because I kind of thought it might be right because you say magazine rather than newsletter. And most email newsletters are talking about newsletters. Brad Barker: Well this thing is pushing 60 pages, so it’s a little more than a newsletter. Jason Hartman: Wow that is. That’s big. Well, thanks so much. We appreciate you joining us today, and everybody be prepared or be sorry. You might as well do it. Thank you again.